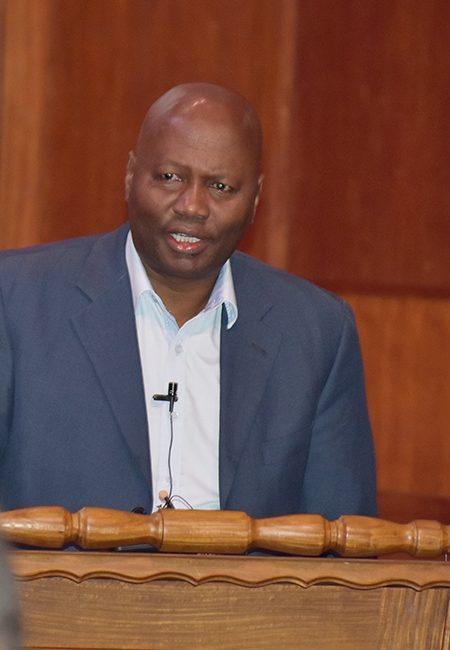 Christian scholars from across Africa have come together at a conference in Potchefstroom to consider the role of Christian scholarship in higher education. The International Association for the Promotion of Christian Higher Education (IAPCHE) recently held its first-ever All-Africa Conference, giving Christian scholars food for thought and pointing the way to effective integral Christian scholarship in Africa. The conference took place from 6 to 8 November at the North-West University’s (NWU’s) campus in Potchefstroom. It was hosted by the Institute for Foundational Studies of the NWU, in collaboration with the IAPCHE. Although IAPCHE is an international organisation, the conference was primarily for members of its Africa Chapter. Delegates from North America, Europe, India, Australia and New Zealand also attended. Prof Michael Heyns from the Institute for Foundational Studies says it was inspiring to see delegates find each other across nationalities. “They engaged on the sub-themes of the conference — worldview, leadership and education and made valuable connections.” He says the lectures were not only inspiring but also gave rise to various projects and talks about future cooperation. Some of the respected speakers included Dr Faith Nguru, academic leader at Daystar University in Kenya, Prof Bernard Boyo, professor of religion at Daystar University and dean of its School of Arts and Humanities, and Dr Bennie van der Walt, former director of the Institute for Reformation Studies at the then Potchefstroom University for Christian Higher Education (PU for CHE) and a founding member of IAPCHE. Dr David Smith, founding director of the Kuyers Institute for Christian Teaching and learning and director of graduate studies in education at Calvin College in the United States, gave an especially insightful presentation. He asked the question: “What makes what happens in classrooms, Christian?” Dr David focused on textbooks and by just referring to the indexes, showed the dramatic change in how textbooks present information over the years. IAPCHE has a rich history that can be traced back to the former Potchefstroom University for Christian Higher Education where it was founded in 1975. Currently hosted by Calvin College, the organisation operates in North America, South America, Europe, Africa and Eurasia. Christian universities and Christian scholars from all over the globe belong to IAPCHE. Its mission is to integrate faith and science, and to support Christian scholars in finding their place in society. Prof Bernard Boyo from Kenya spoke about the quest for integrity in leadership.